The Jewish people did NOT kill Jesus...Jesus was put to death under the direct orders of Pontius Pilate. Obviously some of his accusers were Jews, but so many others who accused him were NOT Jews, and it’s ridiculous to say ALL Jews in Judea were accusers of Jesus or that ALL Jews demanded his death. Remember that many Jews followed Jesus and saw his miracles during his years of preaching (Matthew 15:30-31: "And great multitudes came unto him, having with them those that were lame, blind, dumb, maimed, and many others, and cast them down at Jesus' feet; and he healed them."... "Insomuch that the multitude wondered, when they saw the dumb to speak, the maimed to be whole, the lame to walk, and the blind to see: and they glorified the God of Israel."). In fact, the four Gospels record 37 miracles of Jesus, and the widow's son at Nain (Luke 7:11-17), Jairus' daughter (Matthew 9:18-26; Mark 5:21-43; Luke 8:40-56), and Lazarus (John 11:1-44) had been brought back from the dead by Jesus. And a lot of Jews felt nothing but gratitude, admiration, and love towards Jesus. 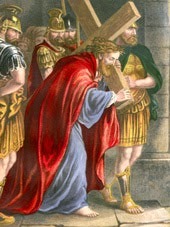 However, many religious leaders (Pharisees) did NOT like Jesus because of his accusations and condemnations of them, and according to the Gospels they wished to get rid of him in any way they could (Matthew 12:14: "Then the Pharisees went out, and held a council against him, how they might destroy him.). For example, Jesus, on several occasions, called the Pharisees 'hypocrites, serpents, and a brood of vipers', and he described them as untrustworthy leaders in front of huge crowds (Matthew 23 1-39). This resulted in the Pharisees status within the Jewish community to be publicly undermined by someone the crowds looked up to and believed in. This was an unacceptable humiliation to them, thus the Pharisees were always on the lookout for opportunities that would allow them to accuse and then kill Jesus. It was the Pharisees alone who wanted to kill Jesus NOT the Jewish people, I repeat, the Pharisees NOT the Jewish people. Jesus was but one of many young Jewish preachers in Judea at that time. He taught basic fundamental Judaism. Even the tenet of 'love thy neighbor' first appeared in the Torah thousands of years before his birth. Remember too that Jesus did NOT know of Christians as they came after, for Jesus was born, lived as, and died a Jew. Remember that Jesus was circumcised on the 8th day in the Temple according to Jewish Law, and that Jesus thought of himself as a Jew, and because Judaism has always allowed for debate and discussion of Jewish Law, Jesus was NO threat to Judaism as a whole. Remember also that Jesus NEVER consciously or unconsciously turned his back on Judaism. And at the time of Jesus, Jews were a despised minority, they had NO power to request, let alone demand, any man's death for the Jews were entirely at the mercy of the Romans, and to even think that the Jewish people pressured the Romans to kill Jesus, as some contend, is just ridiculous. The Romans, however, did view Jesus as a threat because they viewed him as a political rebel and enemy of the state. And with Pontius Pilot being an extremely ruthless and violent leader, he did NOT need to take orders from Jews or from anyone for that matter. If he had wanted to spare Jesus' life he could have but he did NOT. Pontius Pilate was NOT only a willing participant in Jesus' death but he was the man who ordered it. 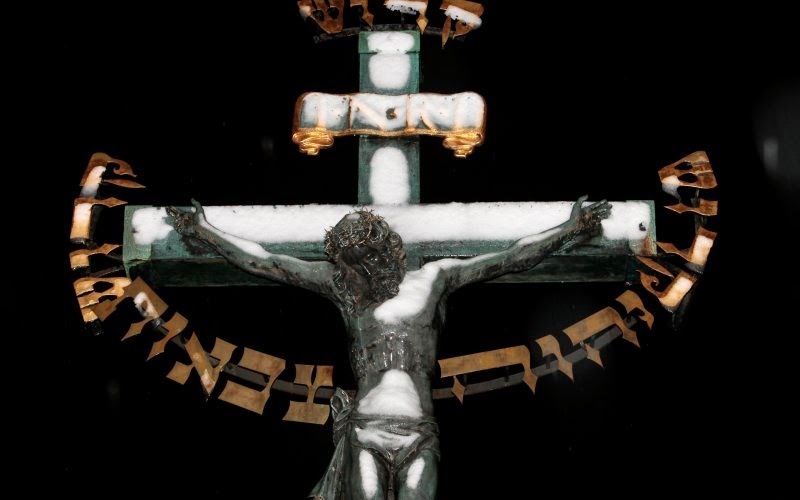 And remember, crucifixion has always been forbidden to Jews because it's such a brutal method of ending a person's life, and is considered paramount to murder in the Jewish religion. So simply put, Pontius Pilate sentenced, ordered, and had carried out the sentence of killing Jesus the man. Now I’ll share with you, my fellow patriots, what I believe...and this is my belief alone...to be the spiritual aspect of Jesus' death. In ancient Israel, God's word called for a sacrificial system meant to emphasize the seriousness of sin and its demand for payment. Capital sins, especially those related to disobeying most of the Ten Commandments, could NOT be paid for by any mere sacrifice, so the penalty was always death. In fact, the Bible is quite specific that the penalty for sin is death with or without the Law (Romans 6:23: "For the wages of sin is death; but the gift of God is eternal life through Jesus Christ our Lord."). To stop such an end for all mankind, there was a need for a sacrifice that would serve as payment for all our sins. Only a ‘Divine Being’ per say, could be such a sacrifice, as Paul talked about in chapter ten of the Book of Hebrews. So basically, the Son of God was the only sufficient payment for the sins of man. Therefore, it's justifiable to say that our sins...the sins of man...killed Jesus NOT the Jews. So, I think it was actually God the Father who offered His Only Son to be nailed to a cross. Jesus agreed to do God's will, fully aware of the serious ramifications that his decision would have for him. Yet, he knew that his suffering would bring about salvation for mankind, as per his words, "I am the living bread which came down from heaven: if any man eat of this bread, he shall live forever: and the bread that I will give is my flesh, which I will give for the life of the world" (John 6:51). Wonderful read and as a Catholic I agree with your belief! You seem to have a kind and gracious heart, but you grasp of the facts, if we believe as I do, that the Bible is the Word of God, is just wrong. Let me explain. First, you are wrong about the political system in Judea. The Jews had FAR greater autonomy than any other Roman Province (which it had been before becoming a Prefect under Pontius Pilot. In ALL FOUR gospels, Pontius Pilot lobbies for the release of Jesus, having been warned by his wife not harm him. I shouldn't have to go over this well known and understood scripture. The Jewish leaders insisted he be put to death, which was about the only penalty they were NOT allowed to impose. That was only to be administered by Romans upon conviction by Roman authority. No one is saying that ALL Jews were responsible for His death, but it CERTAINLY was the Jewish leaders (and many Jews and Jewish proselytes whi were in the crowd crying "crucify Him", who were in Jerusalem for the Passover. In Acts 5:30 it is utterly unambiguous. "Peter and the other apostles replied: “We must obey God rather than human beings! 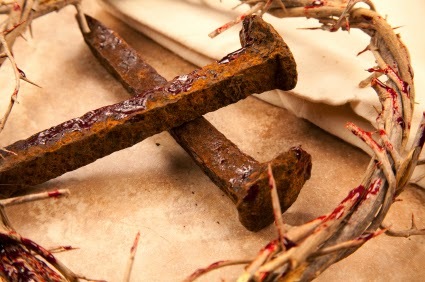 30 The God of our ancestors raised Jesus from the dead—whom you killed by hanging him on a cross." and again by Stephen in Acts 7 "And they killed those who foretold the coming of the Just One, of whom you now have become the betrayers and MURDERERS, who have received the law by the direction of angels and have not kept" and again Peter in Acts 2: 36 "Therefore let all the house of Israel know beyond a doubt that God has made this Jesus WHOM YOU CRUCIFIED, both Lord and Christ.” there is absolutely NO doubt that the Jewish leaders and many commoners called for his death. But, we don't have to do an injustice to the truth in order to say that most Jews had nothing to do with his death, and certainly none beyond that generation. The children are not guilty of the sins of their fathers. Paul goes on to say that God is not done with Israel, they still have a part in God's plan, they are no different than any other people, and will be judged by the answer to the Question Jesus asked His disciples, which is "Whom do you say that I am"? We need to love them, like any other. And as you implied in your post, we are all indirectly responsible for His death, for he died for us all. But, we do not need to apologize for the truth, mitigate the truth so as not to offend, or bend it to say something that is not true. He was put to death by the insistence of Jewish leaders, who persuaded a crowd of commoner Jews to clamour for His death. Sorry but Pilot could have STOPPED Jesus' killing and he did NOT...period. And I will add that Jesus died for those who came before...I do NOT believe he died for those who were NOT yet born...hence we today hold NO guilt in His death. We get it Diane, Republicans LOVE LOVE LOVE Jews, Israel, and Christians too. I'm not sure why the right-wing media is so obsessed with Israel/Jews these day, but I know there's some kind of agenda brewing there. You know the Jews don't, and won't, vote Republican, right? We get it Anonymous, Democrats HATE HATE HATE Jews, Israel, and Christians too. I am not sure why the Left Wing media is so obsessed with Israel/ Jes thes days. You know that Republicans, Conservatives and Christians LOVE Jews and Israel REGARDLESS of the fact that Jews don't and probably never will vote in great numbers for Republicans. They don't do it because they expect anything in return, they do it because it is RIGHT. You Dems do EVERYTHING expecting something in return. That is why you so despise conservative women and African Americans, because you think they are ungrateful for your fake, manipulative support. Anonymous 2...Anonymous 1 is just a clueless troll who says she (and it is a she) disagrees with all I say yet she keeps coming back almost every day...says a lot doesn't it. Somebody's gotta troll ya Diane. You're so damn trollable. Until your friends and allies stop shooting up our temples and yelling "Heil Hitler", YOU, Dianne, do not get to expound on our history. Your pathetic readership is obviously composed of a lot of racist and anti-Semitic cro-mags. Go to hell Lilith. (I was the first post here under anonymous, just so you know who is posting to you.
) Well I see the Liberal Trolls are out from under their bridge again. You are obviously incapable of reading with even a modicum of comprehension or rationality and prefer to engage in eristic arguments. No one supports Jews more than Christians and Conservatives. Perhaps you didn't watch the Democratic convention last time, when the delegates tried to vote an anti Israel and anti God statement into their platform and the Party leadership had to fake the vote and got caught on camera with the results BEFORE the vote took place. The leadership knew these positions would create a huge backlash. So spare the world your lunacy. Btw, I hope you realize that the anti semetic KKK was a Democrat organization... organized, funded and supported by Democrats. It was started to attack Republicans who supported Civil Rights for "negroes", then went on to attack blacks directly, and then Catholics and Jews. Every single attack on Jewish synagogues and institutions was conducted by either a KKK, a Muslim(allied with the Democrats) or a socialist. The recent attack in Kansas city was by a former KKK recruiter ( just like Robert Byrde(D) the Dems "conscience of the Senate). The attack in Seattle, WA, by Naveed Afzal Haq, a Muslim. Then there is Hillary Clinton who screamed at one of her campaign managers , "You f...ing Jew bast..d!" . It is the Left that is filled with anti Semites. In fact, you Leftist Russian friends in the Ukraine are now requiring Jews to register officially. Sounds a lot like the Yellow Star of David they had to wear in Nazi Germany under the Nazi Socialists. Go Troll in a Library where you might actually learn something. Do you really think anybody cares enough about you to PAY me to criticize your BS Dianne? Are you SURE I'm a she? But seriously, quit pandering to us. Are you trying to compensate for something? Lots of people watched . He who is guilty of a little is guilty of all . The voice in the crowd is not identified although the Lord would have had the power to do so . This crime is the epitomy of sin , mans rebellion against God , sinners are that voice in the crowd it represents humanity . People still try to judge who is a worse sinner than them and draw the line just beyond their own acceptable rationalizations . We all were that voice in the crowd once . Crowds stood and watched . Cliven Bundys cattle had more people willing to die for what is right . The truth was pretty obvious , the Roman soldier stated " surely this was the Son of God . If he had spoken sooner he might have been on a cross sooner . . We can't blame it on government and make Pilate the fall guy , or one race or religion , guilty of a little , guilty of all . You are right . It can't be blamed on the Jews . Its original sin. True but we today cannot continue to bear guilt as we were NOT born then. This happened over 2000 years ago...the guilt trip must end and the lessons learned must be put into practice for if they're NOT Jesus died in vain. Diane Sori, To really know what happened, you have to have been there first hand. You weren't. Therefore, your synopsis is just as believable as anyone else's. You're speculating. I found some things concerning the Passover and how they typified Christ. It is amazing the amount of symbolism linked to Christ through the Passover. This is from some research on my part and I will only examine the his birth and how it is linked to the Passover. Christ’s death is also linked to the Law of Moses, but I won’t cover that. …On 15 Nisan, the Israelites began a one-week celebration called the feast of unleavened bread. (See Lev. 23:6). 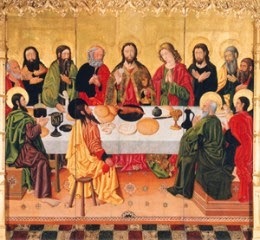 The first day was the feast of the Passover, at which the Passover lamb was eaten. It was a special Sabbath day of rest. (See Lev. 23:7). It was held in the evening that began the day 15 Nisan; shortly after the sacrifice of the lamb in the afternoon that ended the previous day, 14 Nisan; thus, technically, the sacrifice of the lamb and the Passover feast occurred on different calendrical days. (See Lev. 23: 5-6). The Exodus is also a “type” of His Birth. …Israel is my son, even my firstborn (Col. 1:15). Thus, Israel represented Christ, the first born of God. The Lord related the day that Israel was delivered to the firstborn’s opening the mother’s womb (See Ex. 13-2; Num. 3:13; Num. 8:17). Because the firstborn was a type of Christ, we find here the birth of Jesus linked to the day 15 Nisan. The Exodus was indeed the birth of the nation of Israel; that is, after a long gestation period in Egypt, the nation was literally born of the day it was delivered. Then followed the symbolic sojourn crossing the water (which could symbolize birth), being led though the wilderness (which possibly represents mortality), and again crossing the water in the Promised Land. Combining these correlations, we could conclude that not only was the exodus apparently symbolic of Christ’s birth but also that perhaps the very night of Jesus’ birth was symbolically indicated to be the evening beginning (preceding (15) Nisan. OK...me again…this goes on and on and on! My point is the Jewish people simply missed the mark concerning the Messiah. It was foretold they would miss the mark. However, we should NEVER hate the Jewish people for missing the mark. They are God’s chosen people, and Christ came down himself to redeem them. In the latter days they shall return to the fold. It will be in a time of war; at that time Christ will reveal himself as the Messiah and there will be no more room for doubt. When will that happen? The way the world is progressing…not very much longer. I have my own timelines, but they just my opinion. If you have not Love, it profits you nothing. You are become a clanging cymbal. Diane Sori is a clanging symbol of hate. She is truly one of the most hate-filled persons I have seen. Jesus would cast her into the pit of Hell for her lies and blasphemy. She is a handmaiden of Satan. You know you can reply to any given statement just by hitting the reply button. I could never figure out which anonymous you was talking about. I thought Diane gave a lot of love to her dying friend Dori. God is light and truth; if Diane speaks the truth is that not of God? The bible also says for us to judge not lest ye be judged! Aren't you judging Diane? What has she said that was false or blasphemous? The bible is obviously speaking of unrighteous judgment when it says to judge not! Diane is a friend of Israel and seems to be a friend of the Christian world. In my opinion, Diane’s judgment is justified because it is righteous judgment. Again, she is speaking the truth which is of God. Satan is the father of all lies! Did you know that our president is a pathological liar? Only 15% of Americans in a Washington Post poll found his statements truthful. Basically they know Obama is a liar and Satan is the father of all lies. It is common for the wicked to lash out when confronted with their evil. Perhaps they are possessed of many demons like the man at the tombs who was possessed by a legion of devils. Such may be your case! If you will read Diane’s articles and her comments, you will see the light. At present, you are not reading a thing she writes, or you could prove her wrong. Diane is correct 100% of the time; else, prove her wrong! Actually the poll was a Fox News poll of 1,012 registered voters and had a margin of error of + or – 3%. Enjoy! Yep…that Obama sure is honest! HA HA HA HA HA! STOP !! It does not matter who killed him, he knew he was going to die whilst mere mortals knew not. The death of Jesus was to atone for the sins of mankind. Past, present and future, is never discussed. Be you Jew, Christian, the belief in God and in His Son Jesus Christ and the Holy Spirit is the most important, and the following of the principles that have been delivered from God by the Messiah and prophets like Moses. Follow those teachings and the rest becomes irrelevant when you truly believe. In the meantime Stop the bickering and hate. 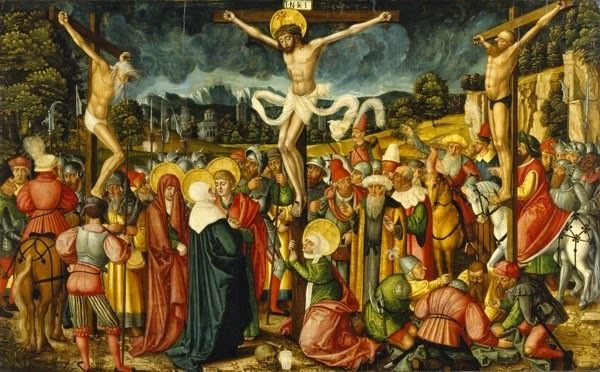 I have to disagree with you that people born after the crucifixion are not guilty. We are all sinners. We are all born in sin. The Bible says so. The fact is that we are all guilty of the exact same sins today that people committed before the crucifixion. One final thought, Diane. If Jesus did not die for the people born after his crucifixion then who is our Savior? How do we receive Salvation?